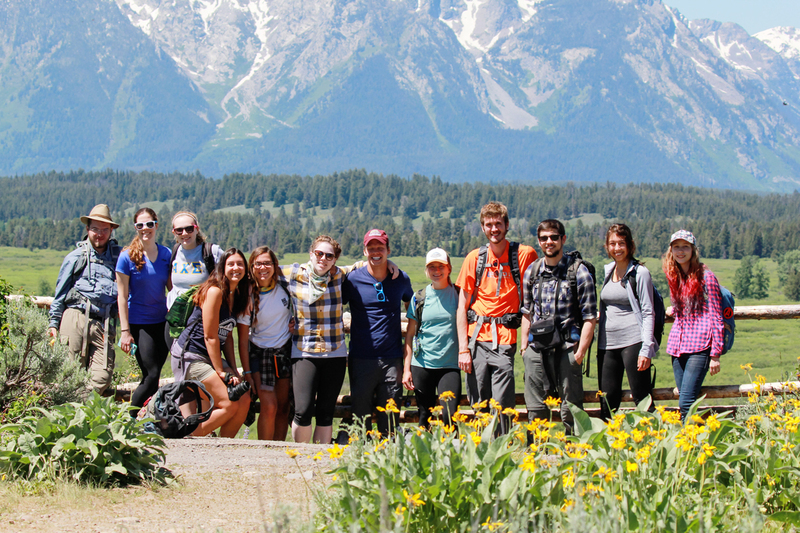 A group of University of Illinois students spent two weeks in June in the Greater Yellowstone area, learning through on-site experience about the politics and other issues surrounding national parks. 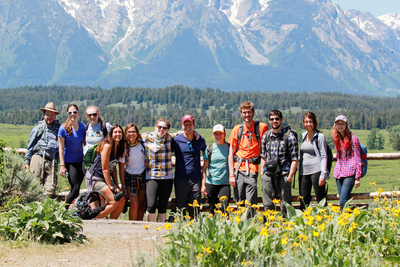 Here's the class on its first day in Grand Teton National Park. We spent yesterday in Grand Teton National Park, hiking Cascade Canyon. 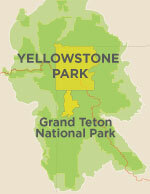 Today we’re in Jackson, Wyoming, just south of the park and a very different setting. My teaching assistant and I are in a Starbucks grading papers. Our students are out exploring the town. 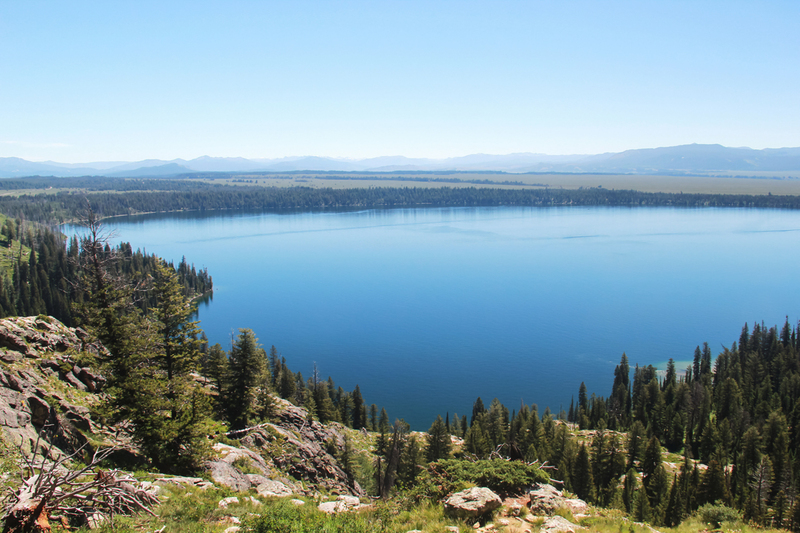 Jackson is one of a half-dozen “gateway communities” that surround Yellowstone and Grand Teton national parks, towns that serve tourists with hotels, restaurants and other necessities, such as an IMAX theater and a Ripley’s Believe it or Not! attraction. Most of the students just want to get a bison burger and fries, and to go gift shopping. Exploring Jackson gives them some time to reflect on contrasts. On our hike, we moved from a heavily visited area around Inspiration Point to a turnaround spot that we had all to ourselves. We held class over lunch while sitting on a talus slope, a field of large rock debris. The students filled out worksheets there and shared their thoughts. The view from Inspiration Point, overlooking Jenny Lake in Grand Teton National Park. While hiking, they saw what an intact ecosystem looks like. Many described Cascade Canyon as “wilderness,” where nature survives untrammeled by humans, where people visit but don’t stay. A teaching assistant holds class at a site in one of the parks. Jackson, on the other hand, is very well trammeled, and a place where people definitely stay. If you think about it, the infrastructure there makes possible those visits to Cascade Canyon. The damage to wilderness is much less, because people do their damage in town – with their cars, hotels, parking, restaurants, litter and flush toilets. Going out into the wild for a few hours doesn’t erase a person’s connection with civilization. 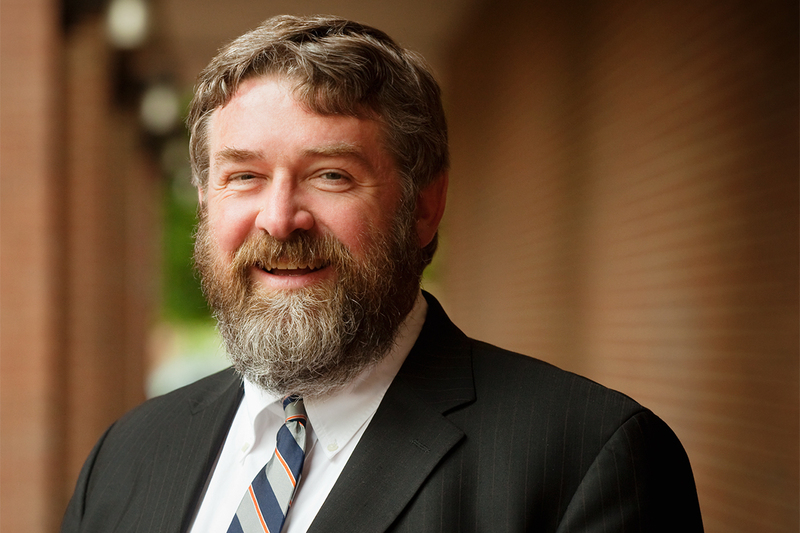 Political science professor Robert Pahre teaches the course. 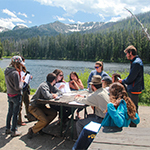 That’s the kind of connection I want students to see in this summer field course on the politics of the national parks and the Greater Yellowstone area. We’ve designed the class to make contrasts more visible to students, alternating days focusing on nature with days focusing on tourism. Seeing those contrasts in the field helps them to understand the impact of different policies. If the National Park Service allowed companies to build more lodging inside the parks, for example, would they look more like Jackson? 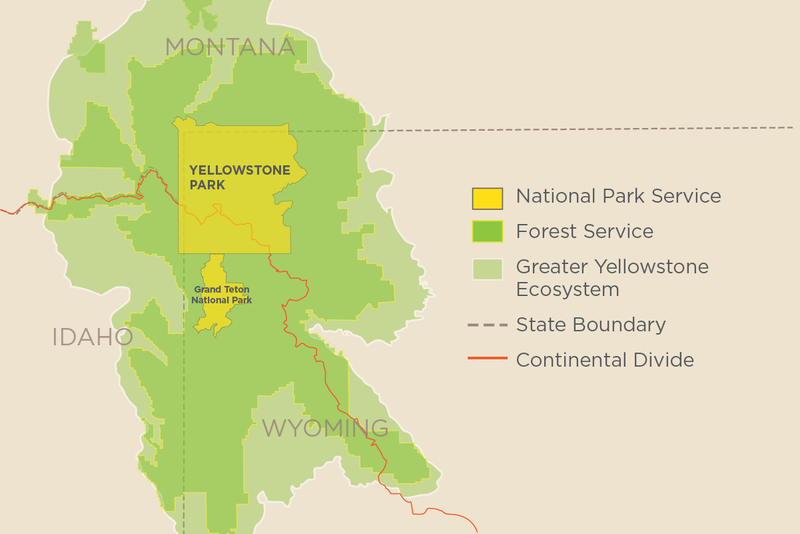 How would that affect the values that the parks preserve? That is part of the conversation we’ll have in camp tonight. 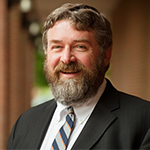 Robert Pahre is a political science professor at the University of Illinois and has written extensively about the often-complex issues surrounding the national parks, focusing especially on Yellowstone. 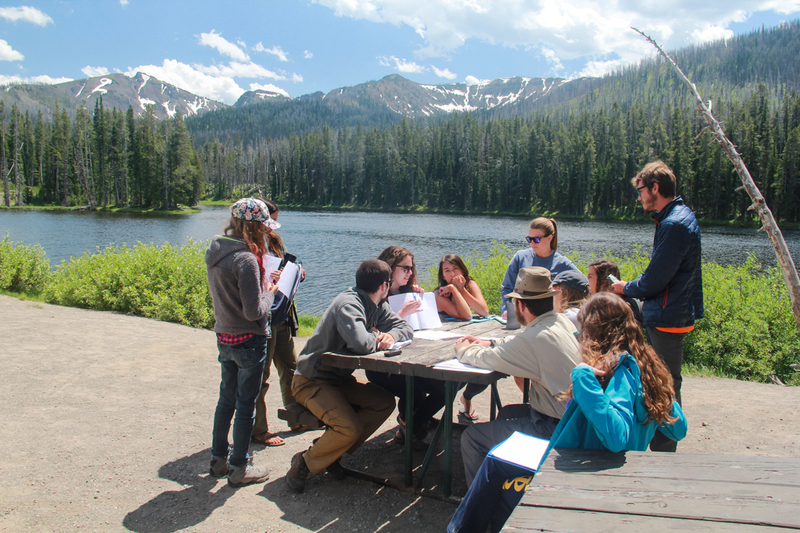 This is the sixth year he has taught his course in the Greater Yellowstone area, and the course is now also online. He can be reached at pahre@illinois.edu.